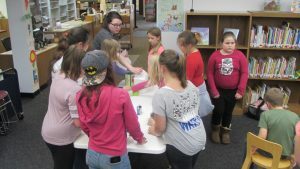 Kids in elementary school grades are invited to join Julia after school at 3:00 p.m. every Tuesday at the North Adams Library. 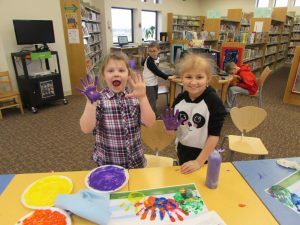 Come to make friends, create crafts, and participate in STEAM activities at the library. 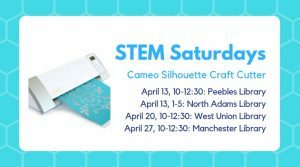 The Silhouette Cameo is an electronic cutting machine used to make crafts and other useful items. Join us at the Peebles Library and create your own personalized vinyl stickers! This activity is perfect for all ages! 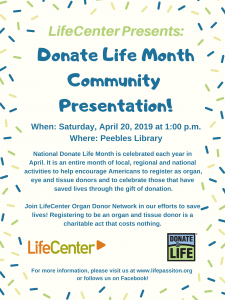 LifeCenter Organ Donor Network presents information about organ donation during National Donate Life Month. Learn more about how registering to be an organ, eye, and tissue donor saves lives. Learn more at lifepassiton.org. 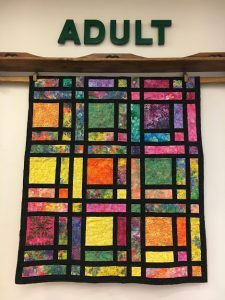 Tweens and teens, join Tosh for Tween Activity Club at the Peebles Library on Mondays at 3:30 p.m. We’ll do crafts, talk about our favorite books and movies, eat snacks, and have fun with friends at the library. 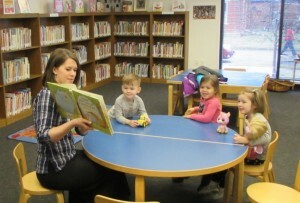 Preschoolers and families are invited to join Julia for Story Time at 11:00 a.m. each Tuesday morning at the North Adams Library. We’ll help your child discover the joy of reading and develop early literacy skills through read-aloud stories, hands-on crafts, and music and motion activities. 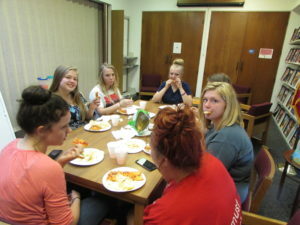 Teens ages 13 and up, join Deborah at the Manchester Library every other Tuesday after school to talk about books and movies, do crafts and group projects, make new friends, and enjoy after school time at the library. 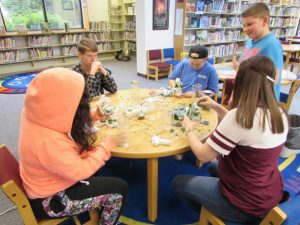 Tweens ages 8 -12, join Tosh for Tween Activity Club at the Manchester Library every Tuesday at 3:30 p.m. We’ll make crafts, eat snacks, talk about our favorite books and movies, and have fun with friends at the library. 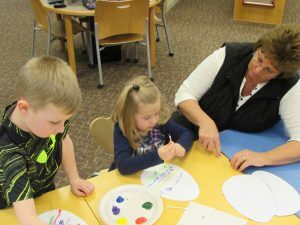 Preschoolers and parents, join Deborah for Story Time at the Manchester Library, each Tuesday evening at 5:30 p.m. We’ll help your child discover the joy of reading, and develop early literacy skills, through read-aloud stories, crafts, motion and singing games, and more. 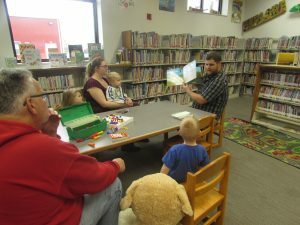 Infants and parents, join Andrew as we read, sing, play, and interact with each other each Wednesday morning at 10:30 a.m. at the West Union Library. This Story Time helps babies ages infancy through 2 years old to develop language and social skills.